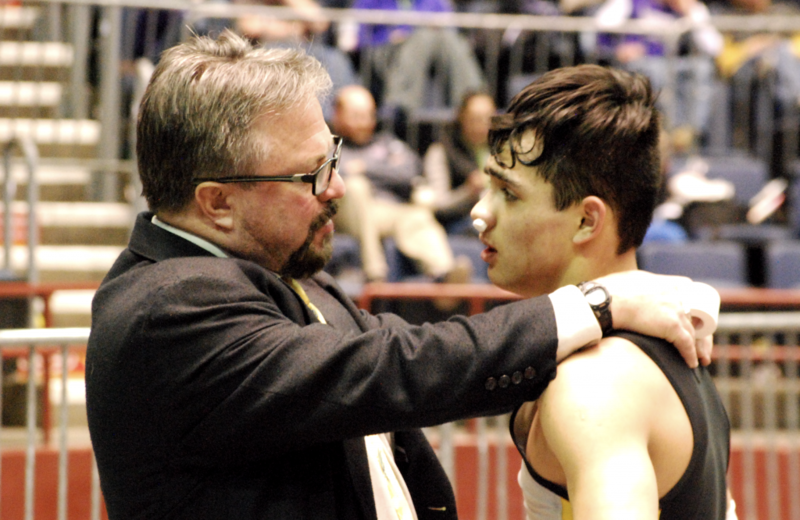 When Sanford arrived in Greybull, he took over for “a legend” in Tom Urbach, who in his 18 years led nine teams to state titles and 32 wrestlers to individual glory. Sanford didn’t understand why at the time, but Urbach didn’t come around practice very often, unless he was asked to do so. Urbach would later tell Sanford that he stayed away because it needed to be Sanford’s program. “He said, ‘Well, that’s just what you need to do’ and ‘When the time comes, you will do it, too.’” Sanford said he’s going to approach the transition the same way. Sanford said his first year in Greybull was a difficult one, as several kids quit early in the season. A conversation with his wife, Heather, who has been at his side from day one, helped him through it. “It was trying to be hard-nosed and tough,” he said. “She just told me, ‘You have to be yourself.’” Sanford got through that season — and 19 more. He leaves with the program on the upswing, poised for more success next season with a solid nucleus returning. He won’t be on the mat with them, but you can bet he won’t be far away from his favorite sport.